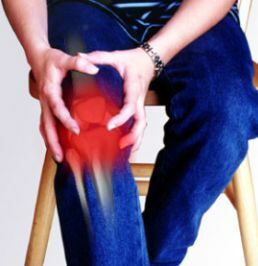 Joint pain is often associated with arthritis and affects 46 million adults in the United States. We know that being overweight can increase the risk for osteoarthritis, especially of the knees and hips, but does diet itself play a role? A recent study found that people who ate more alkaline foods, i.e. fruits and vegetables, in particular alliums (garlic, leeks, and onion) and non-citrus fruit (berries, apples, peaches, plums, etc.) were less likely to have osteoarthritis. Food has either an acidifying or alkalizing effect on the body. Acidic foods are mainly animal sources such as meat, fish and dairy. Some plant-based protein foods such as legumes, beans and nuts are considered slightly acidic, but not as acidic as animal sources. Alkaline foods are primarily vegetables and fruits. The body keeps a healthy pH level of blood at 7.35 to 7.45, slightly on the alkaline side. When an individual eats a diet high in acidic foods their body's pH balance is disrupted, which can create health problems; including joint pain. If too much acid is being produced and your kidneys can't process and remove the excess acid fast enough, you develop a condition known as hyperuricemia -- high level of uric acid build up. Foods that can benefit your joints are foods rich in bioflavonoids. Bioflavonoids have the ability to expel toxins from the joints. Foods that are rich in bioflavonoids are apples, berries and cherries. The best way to take advantage of these joint pain-relieving foods is to blend them up into a nice refreshing smoothie. Vegetables such as broccoli, spinach, and kale are also good for joint pain. You can prepare them by microwaving, sautéing, or steaming. Also, try cooking with lots of onions and parsley. Onions and parsley are good with alleviating pain in the joints.